The future of the University of Texas at Austin's use of race in some admissions decisions is again in doubt after the U.S. Supreme Court indicated Monday that it will rehear a challenge to the school’s admissions rules. Editor's note: This story has been updated with comments from Abigail Fisher and UT-Austin President Gregory Fenves. 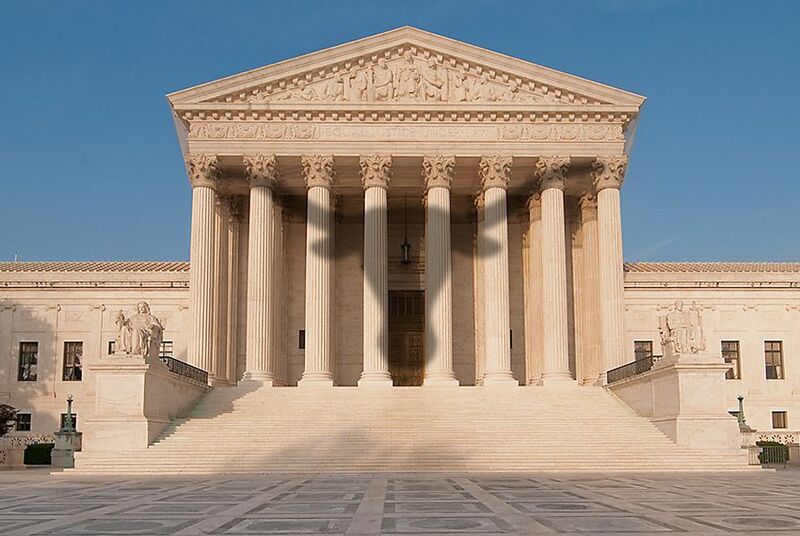 And this time, the Supreme Court may be interested in weighing in on UT-Austin's specific policy. The court heard the same case, known as Fisher v. University of Texas at Austin, two years ago, but only made a broad statement then about the consideration of race at universities. The court sent the case back to the U.S. 5th Circuit Court of Appeals to decide on UT-Austin's practices. The appeals court then ruled in support of UT-Austin's policy for the second straight time. Now, the Supreme Court will review that decision, indicating that it wants to have final say on the issue. In 2013, the Supreme Court’s 7-1 decision in the case said that universities may use race as a factor in admissions, but only if they clear certain hurdles. The ruling said that schools that want to use affirmative action need to show that they need it to build a diverse student body. If there are other “workable, race neutral alternatives,” then those options need to be used instead, the ruling said. The question with UT-Austin is whether it has such race-neutral alternatives. Critics of UT-Austin's policy argue that there are alternatives — specifically the state rule that students in the top 10 percent of their high school graduating classes receive automatic admission into state schools. So it will be up to the high court to determine whether the race-neutral top 10 percent rule achieves enough diversity at UT-Austin to make affirmative action unnecessary — and therefore illegal. In a statement released Monday, UT-Austin President Gregory Fenves said that the university's admissions policy is constitutional and has been upheld multiple times by the courts. "Under the Supreme Court's existing precedent, the university's commitment to using race as one factor in an individualized, holistic admissions policy allows us to assemble a student body that brings with it the educational benefits of diversity for all students," Fenves said. "We look forward to making our arguments before the Supreme Court later this year." In 2014, the 5th Circuit ruled that denying UT-Austin the right to consider race would “hobble the richness of the educational experience.” That prompted many conservatives to urge the Supreme Court to retake the case. They argued that the top 10 percent achieves racial and economic diversity and that UT-Austin basically wants affirmative action so it can give preference to wealthy minorities. The court’s decision extends the life of Fisher v. University of Texas, which dates back to 2008. That year, Sugar Land resident Abigail Fisher was denied admission into UT-Austin. Fisher, who had a 3.6 high school GPA and scored 1180 on the SAT, filed a discrimination lawsuit against the school. Fisher said in a statement Monday that she was grateful to have the case reheard. "I hope the justices will rule that UT is not allowed to treat undergraduate applications differently because of their race or ethnicity," she said. Fisher's case is being funded by the Project on Fair Representation, a nonprofit group devoted to fighting the consideration of race in any government action. The group's president, Edward Blum, said he hopes the case "may bring our nation closer to the day when a student's race and ethnicity is not a factor that a school may consider during the admissions process." "It is a terrible shame that Abby and thousands of UT applicants have been unfairly treated because of their race and ethnicity," Blum said. When the Supreme Court picked up the case in 2012, many expected a landmark ruling that would change how affirmative action was reviewed — or possibly whether it would even remain legal. After the narrow ruling in 2013, however, the practice hasn’t changed much across the country. The court’s ruling this time around could provide more clarity. Fisher enrolled in Louisiana State University and graduated in 2012.